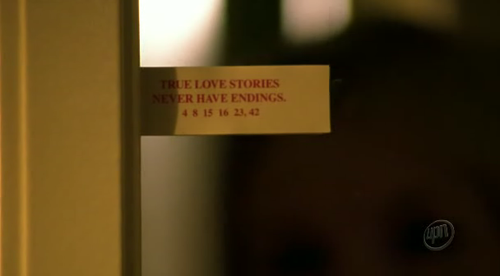 To butcher a quote by author Richard Bach as seen in a pretty legendary Veronica Mars episode, "true love stories never have endings." Either Justin Bieber and Selena Gomez wholeheartedly agree, or they just enjoy trolling diehard #Jelena fans whenever the spirit moves them. It all started this past weekend, when Justin shared a throwback photo of the exes smooching on a beach in happier times. Well, technically it all started when they first met in 2009, but this particular Jelena revival started with the Instagram post below. "Feels," Justin captioned the pic that's earned 2.8 million likes in under two days, because nothing captures the complexities of romantic nostalgia quite like internet-speak. This affection for looking back is certainly nothing new on Justin's part — the singer's brought Selena up in multiple interviews, and just last December he made waves with another "throwback" photo of the two which prompted even Drake to comment, "Damn thought this was a Jelena current day flick." Selena, however, has stayed mostly mum on their old relationship in recent days, telling Rolling Stone four months ago that she was "so beyond done talking about that, or him." And yet, with a simple double-tap and a one-word comment sparked by what we can only assume was a moment of fond reflection (or a desire to toy with Beliebers, whom Selena knows are ever-vigilant), the "Hands to Myself" singer lit up millions of Jelena-loving hearts...kind of. After liking the post, Selena deemed it "Perfect." Fans proceeded to melt down. But the plot thickens: this fan may have cracked the whole thing wide open, citing the comment as shade given that it's the title of a certain Revival deluxe edition track (VERY pointed lyrics here, which allude to a lover's suspected infidelity). Do you think Selena's Instagram comment was in fact shade, or are they merely amicable exes? Are these two fanning the Jelena flames on purpose? Have you ever accidentally liked a photo on Instagram while lurking and immediately contemplated deleting all your socials forever? Weigh in.